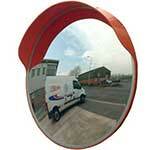 Totally weatherproof, superior optical quality polypropylene convex mirror. 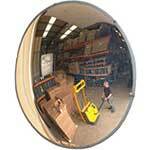 There are many different sites where the use of an external convex polypropylene mirrors could be useful. Construction sites in particular can benefit from the use of these mirrors; they typically see a lot of heavy plant moving around, which can clearly be very dangerous, particularly if the machines are moving out of sight of other parts of the site. 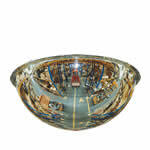 Being able to see around corners can be useful and the external convex polypropylene mirrors are ideal for this purpose. The product is completely weatherproof, so the elements should not cause any deterioration for many years. The mirrors are made from polycarbonate, which is a long-lasting material that should be able to withstand a few knocks over time too. In order for site workers to be able to quickly pin-point the mirrors they are contained in an orange housing specifically designed for high visibility. 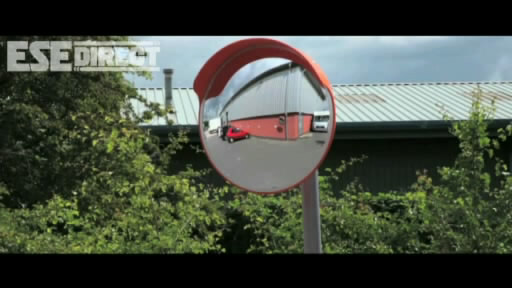 Accidents can be prevented and the mirrors can also act as a deterrent against theft. The mirror can be adjusted so that it sits at just the right angle for maximum visibility. Management has a responsibility to ensure that workers are safe at all times and this is just one way to reduce the risk of accidents. Convex polycarbonate mirrors represent a cost effective way of adding to the safety features of a site; they require little maintenance and need no power to operate. CME45P - Does the job, as described. CME60P - To guide drivers coming in the opposite direction on a 90 degree bend. CME45P - Perfect for pulling out on to busy/fast road from a driveway with limited sight of oncoming traffic - should have bought it months ago - money well wroth spending! CME45P - Very well made product. CME60P - Used in a gate house to see traffic. 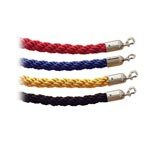 - excellent product even better service, fast delivery, could not ask for any better. I would definatly recommend ESC Direct. CME45P - The product is good. - Sufficent for purpose if not a a bit flimsy. CME60P - Not appropriate for our purpose. Q. Does CME60P come with fixings?